Datsun today honored medalist P.V. 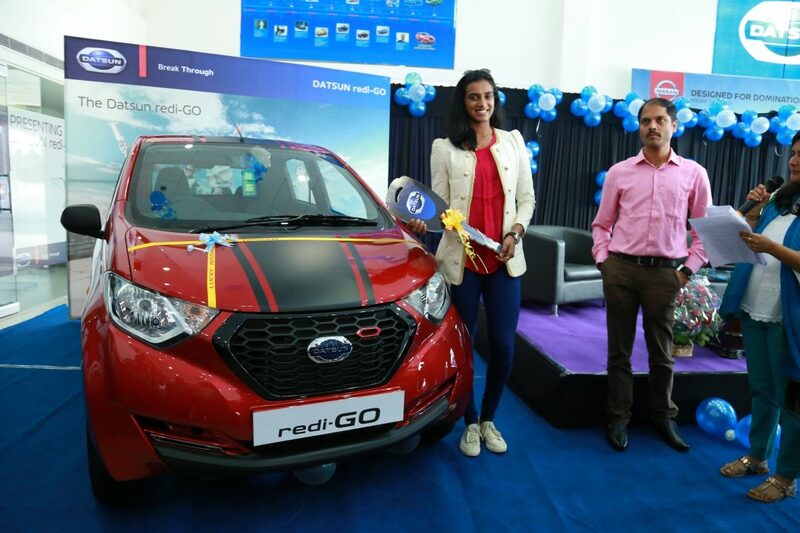 Sindhu for her achievement at the summer games recently held in Rio de Janeiro by presenting her with a Datsun redi-GO SPORT. Datsun recently introduced redi-GO SPORT to celebrate the festive season in India. The Datsun redi-GO SPORT is a limited edition dressed with bold stripes and accents on the exterior together with a host of new features for customers seeking an active lifestyle. The redi-GO SPORT variant is available as the top grade and comes in three stylish body colours: Ruby, White and Grey. It will be available at all 227 Datsun dealerships across India. The sporty-themed redi-GO is priced at INR 3,49,479 (ex-showroom, Delhi).